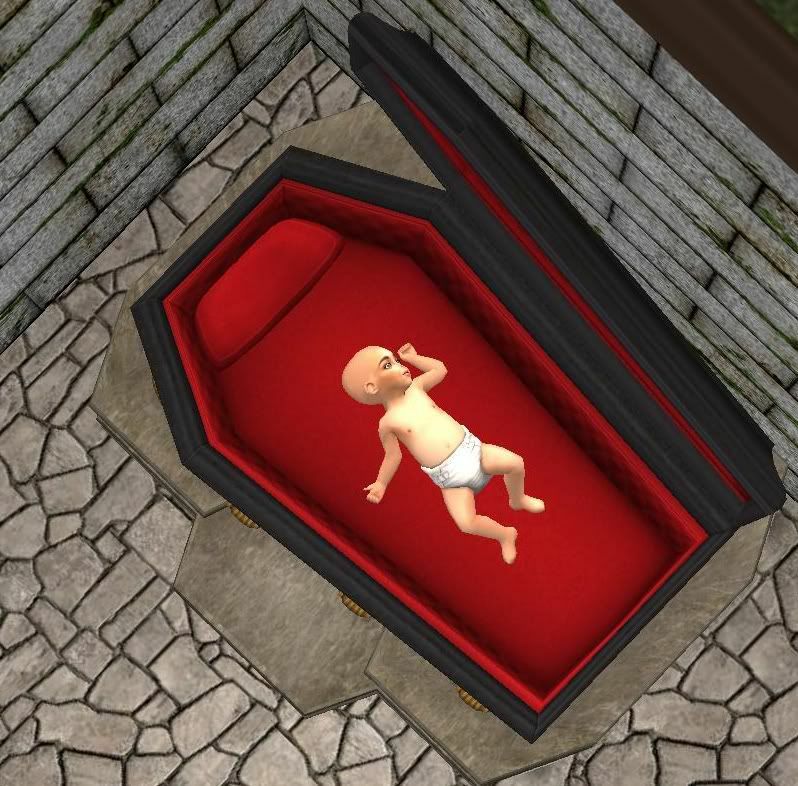 This is the vampire coffin bed from Nightlife as a crib, because vampires have babies too! It's repository linked from the original Nightlife coffin bed for adult vampires so Nightlife is required to see the textures. Thanks to Michelle for the idea. 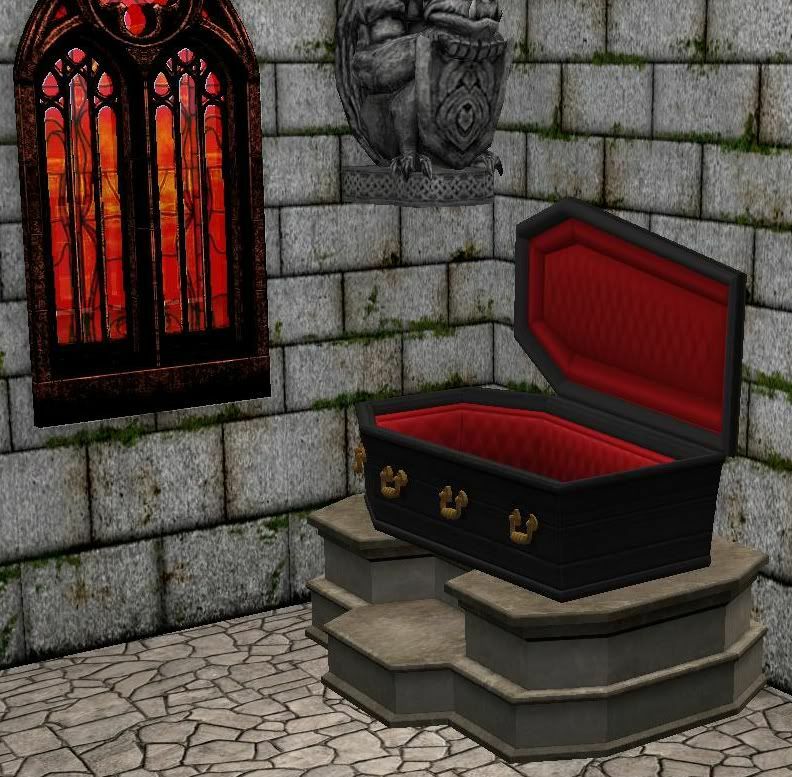 Michelle Uploaded some recolors of the original coffin that will show up in this as well found here. Enjoy!